Each year millions of people worldwide lose their properties, their family members, and even their own lives due to residential fire accidents. Fire accidents can happen in an instant, and they can destroy the property you treasure and have worked for several years in just a couple of minutes. 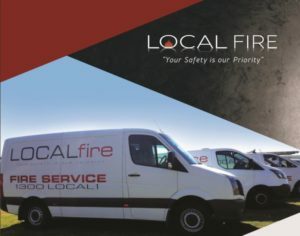 As such, if you want to avoid the damaging consequences of residential fires, then it would be best for you to consider installing fire protection systems within your property. By installing preventive and protective fire protection components in your home, you can effectively protect your property and most important of all, your family. In order for you to protect your home and family from residential fires, you need to acquire the necessary devices such as fire extinguishers. Your home’s fire protection systems will never be complete without this essential item. Keep in mind that there are different types of fire extinguishers. For example, a water extinguisher, also called water can, is only suitable for fires caused by paper, wood, cardboard, plastic, etc. Using this type of fire protection device in stopping electrical fires is very dangerous. It can cause electrocution. The fire extinguisher type that is suitable for electrical fires is CO2 extinguishers. However, it is highly recommended by fire protection experts that you opt for a dry chemical extinguisher since it can effectively knock down various classifications of fires. If you need more help and advice regarding which fire protection devices to install at your home, make sure you call Local Fire today. Our friendly operators will help you make your home a lot safer for you and your family by installing the right fire protection systems. Acquiring the needed fire protection devices is just the first step in protecting your property from the devastating effects of residential fires. It is also equally important that you educate your family with the things they need to do in case a fire break outs. The first thing you need to do is to create escape routes. Inform your family members where they can exit your property if the fire becomes too big already. Also, teach your kids how to use a fire extinguisher. This valuable fire protection device is useless if your family members do not how to use it. Furthermore, make sure that it is located in an accessible area. Indeed, installing fire protection systems in your residence does cost money, but the price you have to pay for them is nothing compared to the safety and peace of mind they can give to you and your family. Make your home a lot safer today by installing the right fire protection systems. If you need more help regarding this matter, then call Local Fire today. We offer an extensive range of fire protection devices such as fire extinguishers, fire sprinklers, smoke detectors, and so much more. If installed properly, these devices can effectively protect you and your property from the devastating effects of residential fires.